SOUTHERN UTAH – Local students now have the opportunity to test out their skills in the broadcasting business and earn money while doing it. The SouthWest Science Foundation is producing “ScienceQuest,” a radio program broadcast by Cherry Creek Radio. The purpose of the program is to increase public awareness of science, technology, engineering and mathematics, or STEM, and especially to encourage young people to pursue STEM careers and interests, according to a press release from the SouthWest Science Foundation. There are many students in elementary through high school who have latent interests in new and interesting things, the press release said, and this radio program gives them proof that science and technology are excellent areas in which to pursue their natural instincts to explore, discover and learn. “ScienceQuest” provides a daily reminder to every young person who hears it that science is interesting, challenging and fun. Recently, the foundation has arranged for local students, elementary through grade 12, to create programs to be broadcast on “ScienceQuest.” This opportunity is open to all public, private and homeschooled students in Southern Utah. Instructions are being provided to all interested students. 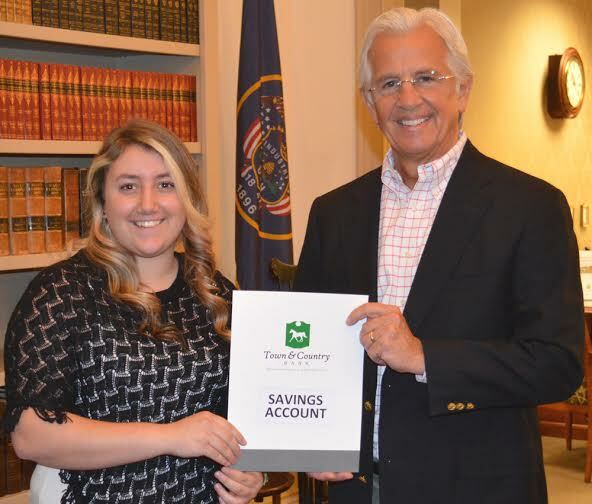 In addition to being recognized on the air, the most exciting part of this opportunity for many of the participants is that for each and every radio script that is accepted for broadcast, the student will be awarded a savings account deposit of $25 at Town & Country Bank in St. George, according to the press release. A few students will also be offered the opportunity to voice the script they have written for the program. The first student who received the $25 award was Mishaela, a junior at Snow Canyon High School, and she submitted a script about Thomas Edison that was accepted for broadcast. With her parent’s permission, an account in her name was opened at the bank. Funding is being provided by Town & Country Bank, Southwest Tile Supply, Children’s Dental, First Colony Mortgage, Costco, Preston Digital Solutions, and Alphagraphics. ScienceQuest is broadcast each weekday at 6:57 a.m. on radio station KDXU 890 AM. Expansion to other times and to other Cherry Creek stations is expected soon, according to the press release. A student guide, which includes rules, instructions and references for interesting potential script topics, is available upon request by contacting the SouthWest Science Foundation via email or by calling 435-229-1633. Businesses that are interested in supporting the program can also contact the SouthWest Science Foundation. $25 dollars as an award???? I think this is a perfect introduction to the radio business… Work Hard, get paid peanuts!!! Welcome to Broadcasting! Uh, just WHERE is the “WORK” in broadcasting? Take a look at the folks behind the microphone. Do they look like they have EVER done a day’s work? And yes, Carl, you are one I am talking about. I must disagree with you… it has to be work for our local broadcasters to constantly mis-pronounce words in commercials and in broadcasts the way they do. PERFESSIONAL???? Do they just stick the microphones in trailers in La Verkin or what?